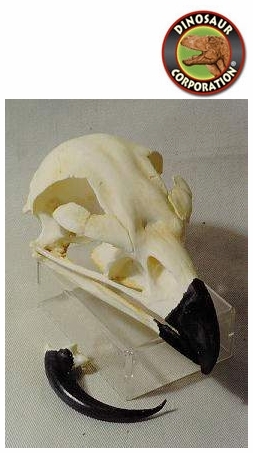 Golden Eagle Skull. Aquila chrysaetos. * Size: 5 inch x 3 inch (13cm x 8cm). * Golden Eagle claw sale separate. The Golden Eagle (Aquila chrysaetos) is one of the best-known birds of prey in the Northern Hemisphere. It is the most widely distributed species of eagle. Like all eagles, it belongs to the family Accipitridae.